Watching....Westworld. I recorded all of season one on HBO as reruns and we started it Saturday night. It's interesting and different. Have you seen it? Reading...A Stranger in the House by Shari Lapena. It's good. Pulls you in right away and might be a little predictable but that's okay. It's holding my interest which is more than I could say for The Sun is Also a Star, which I also read last week. That thing oozes YA tropes. Eating...We had authentic Mexican near La Junta the other day. Southern Colorado is definitely good at Mexican food. We also had pho on Sunday. Succeeding at...I got our refunds from Delta concerning that disastrous trip last month. They refunded our hotel and threw in two gift cards (to actual retailers, not Delta gift cards) for our trouble. I emailed them initially and they never got back to me, so I called and did speak to a very nice woman named DeeDee. I hate that Delta is so incompetent, yet their people are so nice. Buying...I got this Madewell bag half off from Nordstrom Rack (the screenshot below is from the Madewell website) and told Scott it was my Christmas present. I have plans to post my Christmas list next week and Scott told me to start looking online today to see if I can find what I want...we'll see how much energy I have left at the end of a Monday. Planning...my Christmas shopping list. You know how people start in, like, September? No. I start the week of Thanksgiving because I need to be in the spirit to shop for others. This doesn't bother me at all because that's the fun of the season and planning for Christmas months in advance would take that away. Failing...at buying Scott a birthday present. His birthday was yesterday and he swore he didn't want anything. He's bought himself new clothes lately because he's living that civilian life so that was out...he never reads the books I buy him...he has all the tools and hunting gear he currently needs (he wants GPS collars for the dogs but those are muy $$$$$)...and so he bought the new tires he needs for the truck and called it a day. I gave him a card from the dogs. Lamenting...the fact that I'm here in Colorado and Scott is back in Wyoming for the week. I do have a nicely decorated house to enjoy leading up to Christmas but I'll be spending my weekends in Laramie until Christmas break. Scott has way too much work to do up there and can't come home until the semester ends. This lamenting also includes the fact that it's very annoying that my "purpose" is my job while I'm here and he's not. I don't like that feeling. But this is temporary and better than a deployment. So it could be worse. And that is *currently* what's happening this very last week in November. I wanted to love The Sun is Also a Star but I couldn't get past the ya romance aspect of it being so mushy or intense so quickly. I got the zip-up transport tote for Christmas a few years ago and it's probably my favorite bag- such a great find at Nordstrom Rack! lol i'm one of those people who does all christmas shopping/prep and finish by end of november at the latest lol #sorrynotsorry! Do you also have the problem of needing to be DONE Christmas shopping and wrapping by like, the 15th at the latest to be able to ship everything to your family before Christmas? Because that’s my problem every year. I’ve finally gotten good at realizing if everything isn’t ordered online by about 12/3, then I have to go to a store to shop and I don’t want to haha! I even ordered a gift card online for one of our nieces because the closest store is about 40 minutes away. In exchange, we don’t have to travel to the east coast or the west coast this year for the holidays! Also, my husband is being difficult to shop for this year too. I’m kind of at a loss for what to buy him for Christmas. I dont start my xmas shopping till Thanksgiving either, unless I happen upon something by accident before then! That card - love it! I have to drag out Ricky's wish list for Christmas... & I'm not even sure what I want this year... & I really dont want to start shopping for everyone. I just get too overwhelmed by it all. 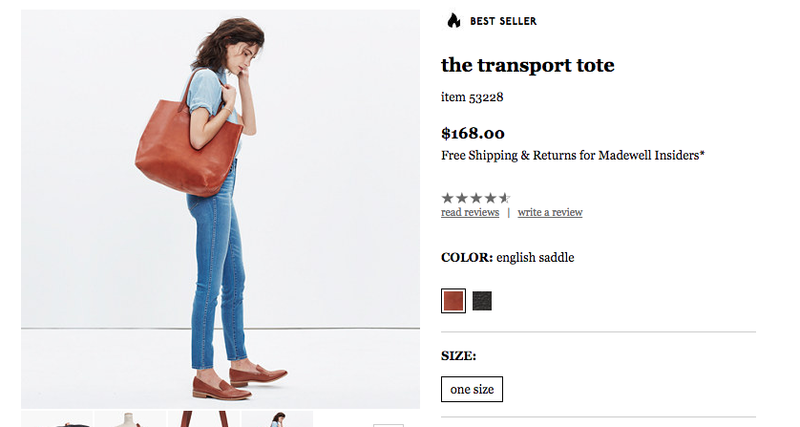 OMG I have been coveting the Madewell totes but I read that they changed the leather and are maybe less good so I can't spend full price and they aren't coupon eligible but you found one at Rack? I am suer jealous and hope you love it but if you don't, you may have a buyer :) I like being done Christmas shopping and started earlier than ever this year so I am pretty excited to have a nice dent done! Awesome that you got the Delta refund! And that Mexican food looks so good! I'm always thankful that Angel's an easy guy to buy for. He almost always needs something for running since he wears through shoes quickly and always has some running gadget he's interested in. This year the whole family got together and split up a GPS watch for him--also, just getting one big present makes things quite simple!